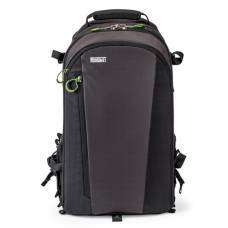 Legendary durability and award winning comfort make the StreetWalker series one of the most sought-after products in the photographic world. 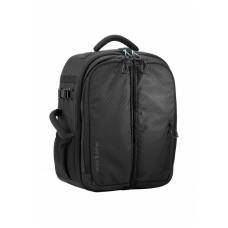 The vertically thin design with contoured curved top makes it easier to navigate urban environments. 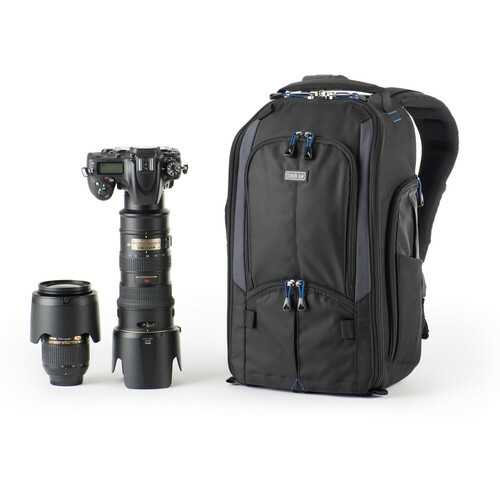 Take your photography gear on the road with the versatile, well made, black Think Tank StreetWalker V2.0 Camera Backpack. 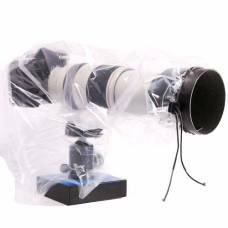 Inside the spacious, padded, zippered main compartment are touch-fastening dividers for organising a gripped pro DSLR with attached 70-200mm f/2.8 lens, up to four additional lenses, a flash, and the included rain cover. Under the lid are clear-mesh zip pockets for accessories. 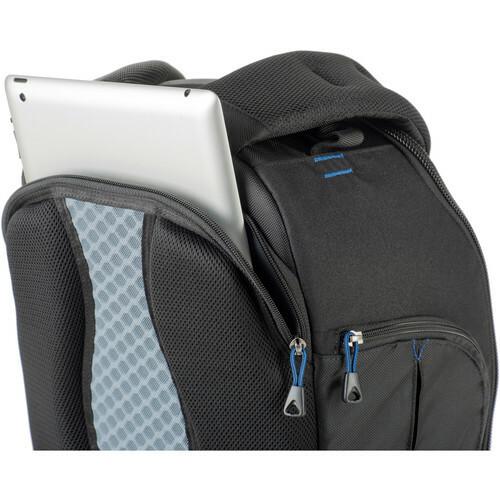 The rear of the pack features a zippered compartment for your up to 10" tablet. 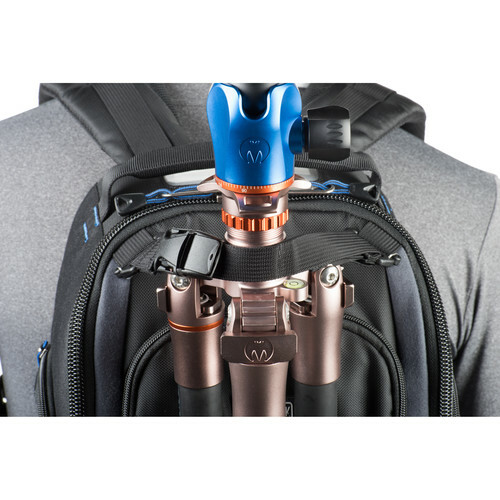 On the front of the pack are an adjustable quick release strap and a tripod strap, for attaching a medium-sized tripod. 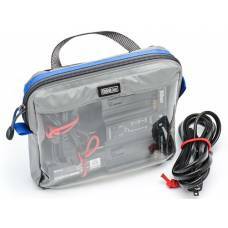 Also on the exterior front of the pack are two zippered front pockets. 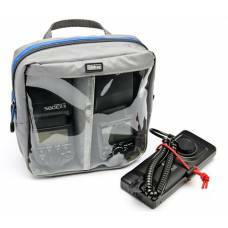 The upper one has an organiser panel for smaller items such as pens, batteries, memory cards, and a cell phone. 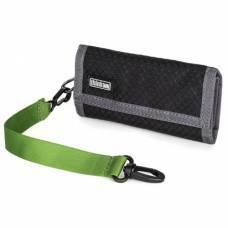 Dual zippered pockets on either side of the pack have matching stretch pockets for storing a water bottle, gloves, or other gear. On top of the pack is an ID card holder and a padded grip handle. For added security, the YKK zipper pulls can accept a user-supplied, optional padlock. 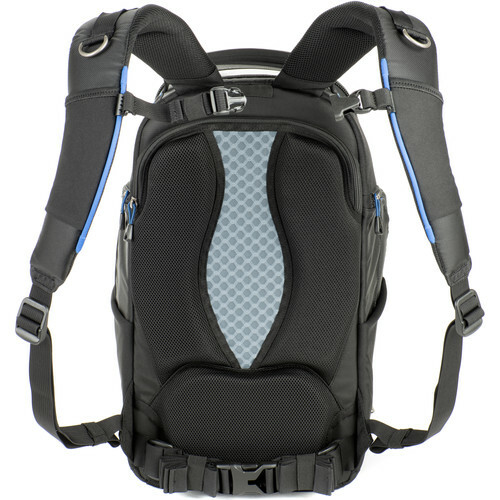 The StreetWalker V2.0 Backpack is comfortably worn with the padded shoulder straps, chest connector, and removable waist belt. 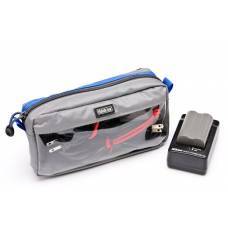 Stretch pockets on the shoulder straps are useful for storing sunglasses or other small items. 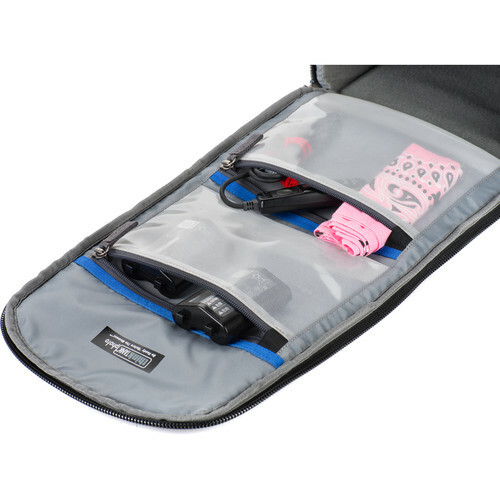 Above each pocket is a D-ring for attaching a front-mounted camera or other gear. 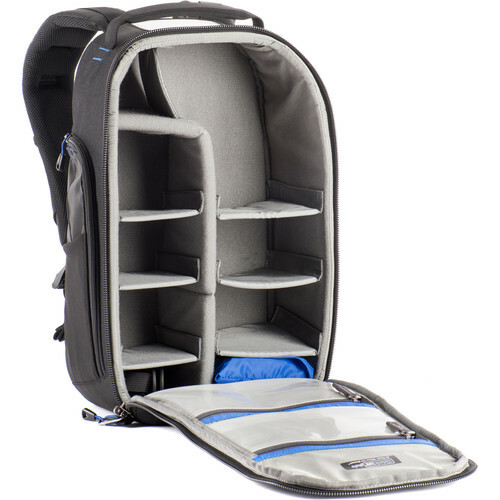 Photographers will greatly appreciate the breathable air-mesh back panel, lumbar support, and cooling air channels. 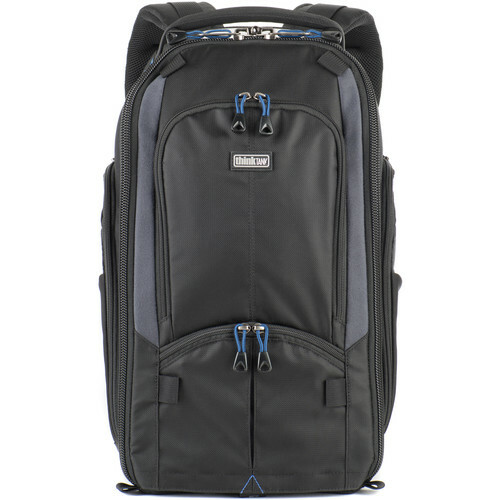 For strength and durability, the pack is constructed from 1680D ballistic nylon, closed-cell PU foam, water-repellent coatings, and antique nickel-plated metal hardware. What will I get with this purchase? 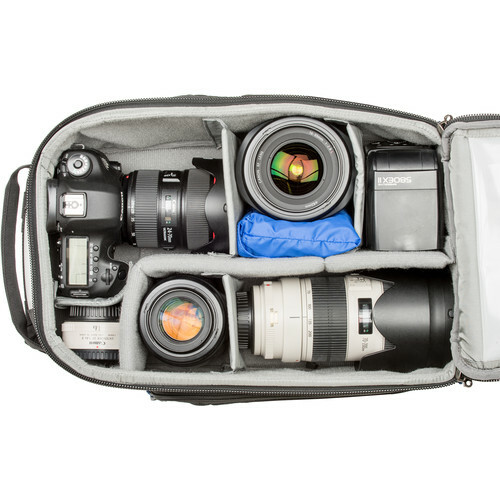 This 26 L backpack's multi-access system features a smarter way of carrying and accessing camera gear. 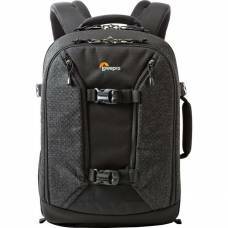 Go off the beaten path with this 20 L ergonomically designed backpack that fits small to large body types.